Order within 14 hours 14 minutes for Same Day Delivery! 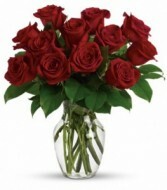 Many a heart has been won with a dozen clean luscious LONG stem pink roses, 18 and 24 roses with upgrades. If there's a heart you'd like to win or re-win, you can't go wrong with this legendary gift of love. Contact us in the morning and we can deliver for you - really deliver for you - in the afternoon. 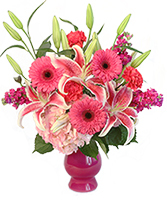 This romantic bouquet includes one dozen pink roses accented with lush greenery. 12, 18 or 24 long stem pink roses. 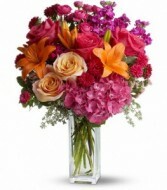 Delivered in a clear glass rose vase. 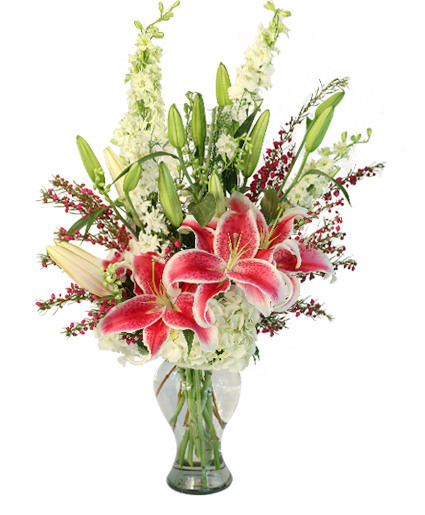 Approximately 14 1/2" W x 15 3/4" H This item is hand-arranged and delivered by Enchanted Florist. All prices in U.S. Dollars.